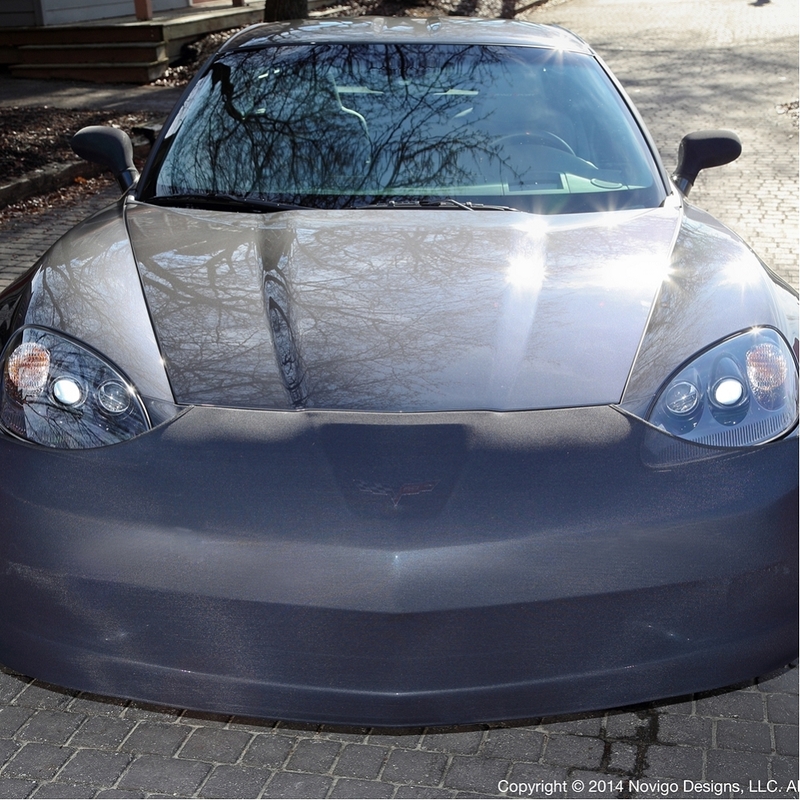 Unlike the typical vinyl nose mask, this C6 Corvette Z06 / ZR1 / Grand Sport 2006-2013 NoviStretch Bra offers several advantages; super quick installation, it conforms to the body better for a superb fit, it folds compactly enough to store in the glove box and you can remove it in a flash. The mask is supplied with mounting hardware, which we describe as snap-style attachments. 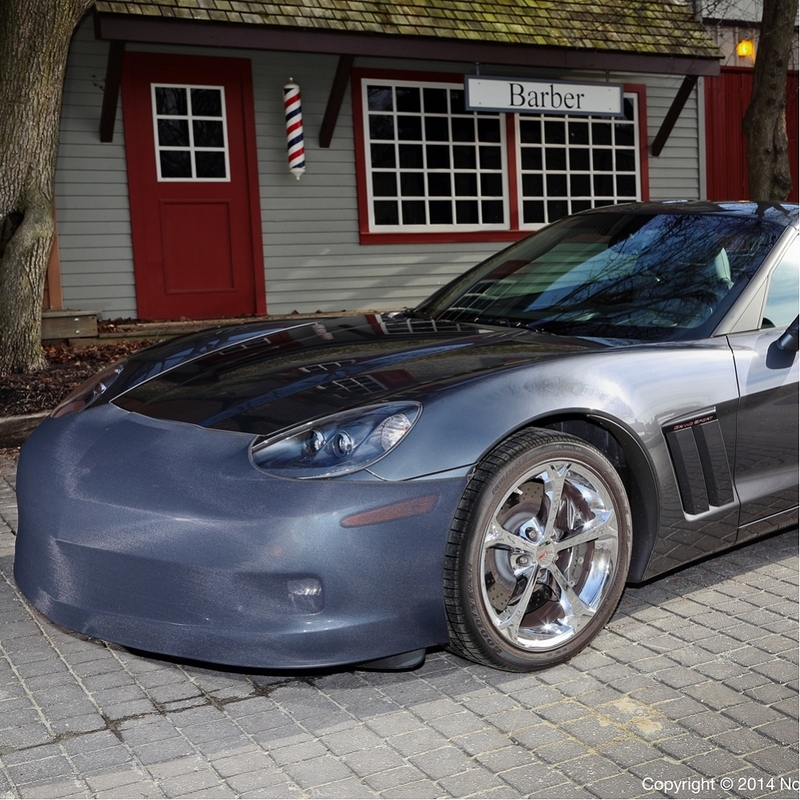 Stop letting your beautiful C6 Corvette get nicks and scratches from road debris. Do something to prevent it. You can also hand-wash the mask to keep it looking brand new. Please check state laws regarding the covering of the front license plate. 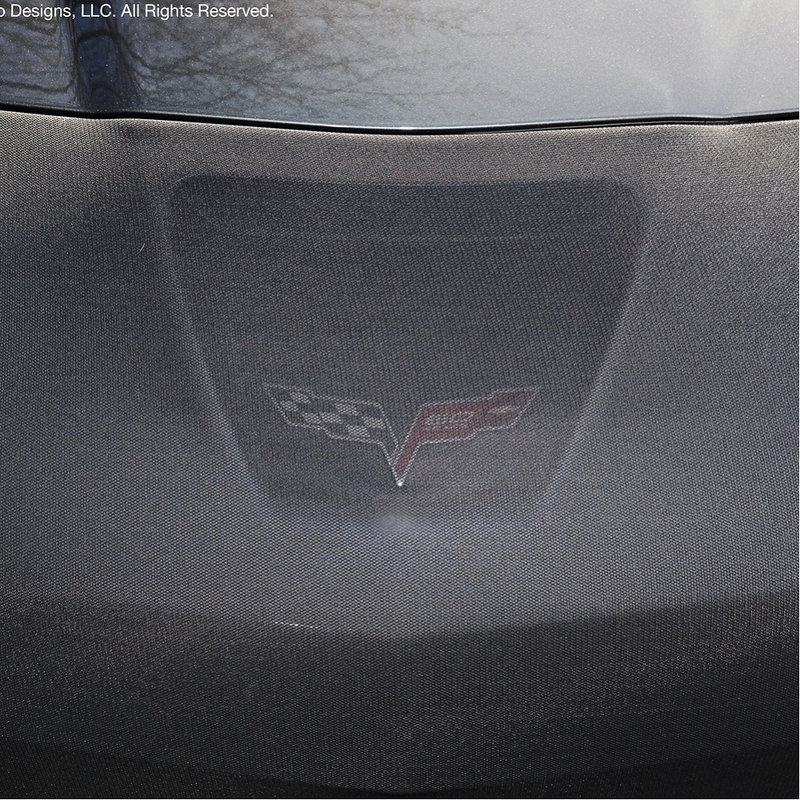 Also available for purchase are the side mirror masks to offer your Corvette's mirrors the same protection and tight fit found with this mask. Please use the drop-down menu above to make your mirror mask add-on selection. Protective - Durable quality material protects the paint surface from common daily wear, while breathable synthetic mesh allows for the greatest surface coverage without creating operating temperature issues. Easy Installation and Removal - "Snap & Strap" fastening systems allow for quick and easy installation and removal of the mask or cover with no cutting, drilling or permanent alteration to the vehicle required. 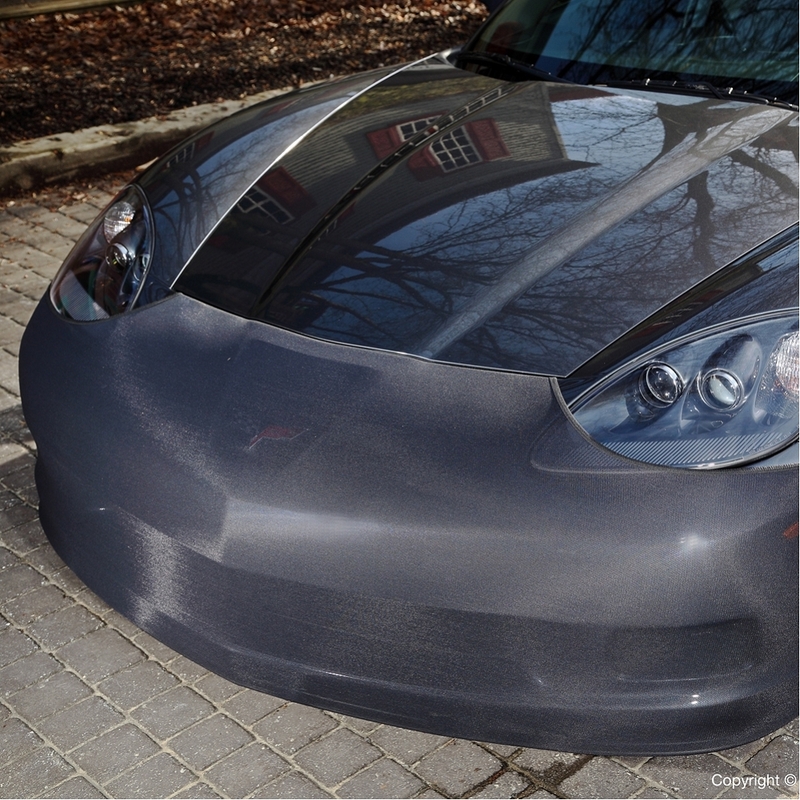 Tight Fit - Stretchable fabric allows for a tight, secure, contoured fit around front bumper or side-mirror, without damaging clear-coat paint finish by rubbing or chaffing. Compact and Washable - Stretchable, synthetic, mesh fabric and unique design allow for easy cleaning, quick drying and compact storage when not in use. Q: Will this fit an '80 convert? Q: will this fit a 2008 base model and does it come in atomic Orange? Q: Do you sell just the installation hardware, the snap attachment for the mask? Q: Can I get this in yellow (velocity c6)?